2. 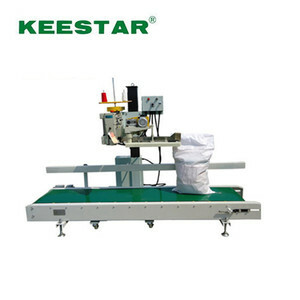 This automatic bag closing machine capacity is 500-800bags/hour. 4. A1-PB+KH-N9C+CP4900+GK-SB is the highest configuration bag closing system. A1-PB+KH-N9C+CP400+GK-SB is the highest configuration bag closing machine. 5 YRS Hangzhou Zon Packaging Machinery Co., Ltd. 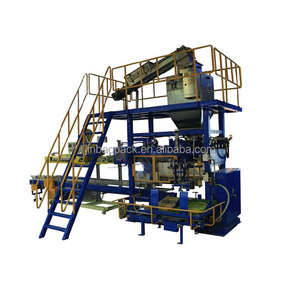 If you're interested in our machines,please do not hesitate to contact with me at any time. 3. 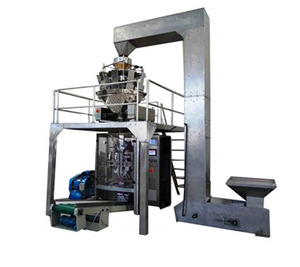 Packing efficiency will be high with vertical packing machine and easy to operate. The platform is mainly used to support the weighers, and it is also the general accessorial equipment in the packaging system. 11 YRS Hebei Shengong Sewing Machine Manufacturing Co., Ltd.
4 YRS Hefei Sanguan Packaging Science & Technology Co., Ltd.
Pet Food Automatic Bagging Systems Scope of application: Pharmaceutical, chemical, fertilizer, pesticides, additives, flour, food and other industries, mainly needle powder and small granular materials for automatic high-speed metering packaging. 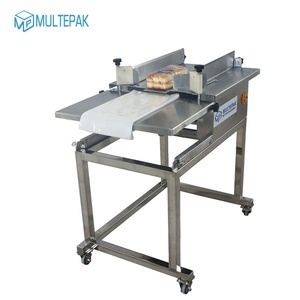 It can realize the whole process of weighing, filling and bag packing. 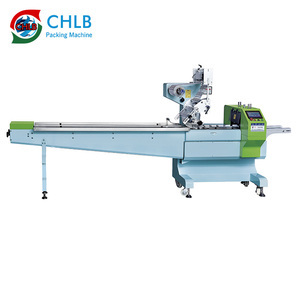 6. packaging machine using servo motor pull film and horizontal seal, so that when the equipment in the running film smooth and horizontal closure formation; 7.The machine uses fiber identification signal transmission, and have the encoder to confirm the function, higher accuracy. Separate circuit boxes for pneumatic control and power control. Servo control, high precision orientation, size more nicety. Close down type mechanism, defending powder into inside of machine. 13 YRS Shanghai Shouda Packaging Machinery & Material Co., Ltd.
4 YRS Zhongshan Combiweigh Automatic Machinery Co., Ltd.
4. If there is any problems and wrongs on your machine, we will give you a quick reaction and solution once we receive the information from you. 6. We guarantee the whole machine for 12 months, except the fragile parts, starting from the day which the machine is dispatched plus one month. e.g. We mainly specialized in researching, designing, manufacturing, marketing and service of multihead weighers, linear weighers, etc. 6 YRS Zhejiang ECHO Machinery Co., Ltd.
6 , how can we solve the problem when machine have problem9 Usually after first install machine,no bigger problem . Meanwhile we can call phone or skype face to face teach your engineer how operation and adjust machine by email. 8 ,When engineer can arrive our factory9 Generally after machine arrive d, Within one week reached. YS-A1 high performance semi-automatic strapping machine with double moter is especially designed for export. Four leg used to support the machine strapping body's could be detachable, can save a lot of space when shipping container. 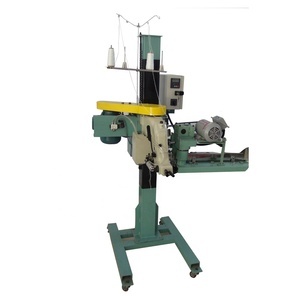 The height of the strapping machine can be adjusted according to the height of the operator and the working demands. 4 YRS Foshan UPPER Machinery Equipment Co., Ltd.
4. Rational electrical design for simple control, improving stability. The actual time will vary from different order conditions. The actual time will vary from different order conditions. 3.We will recommend and offer machine according to customer&rsquo;s use and purchase budget. In-sale service: 1.We will supply each manufacturing step photo for customer checking on time. 2.We will prepare packing and shipment according to customer&rsquo;s needing in advance. 7 YRS Wuhan Leadjet Science And Technology Development Co., Ltd.
1 YRS Dongguan Keqi Automation Equipment Co., Ltd.
4 YRS Wenzhou Anbo Machinery Co., Ltd.
5. Equipped with safety protection, conform to film&rsquo;s safety management requires. 7.Have error indicating system, helping to handle the trouble immediately. Application Suitable for automatic measuring of milk powder, amylum, protein, sauce and such powder materials. 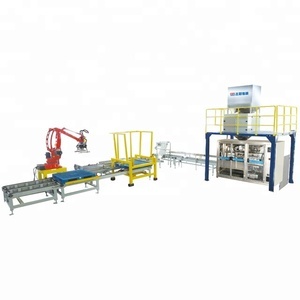 2 YRS Jiangsu Zunsion Automation Technology Corp.
Alibaba.com offers 28,960 automatic bagging system products. About 17% of these are other packaging machines, 1% are packaging bags. 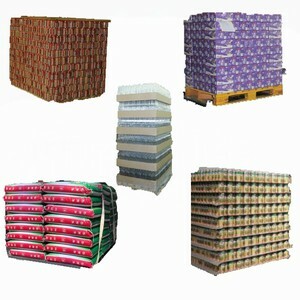 A wide variety of automatic bagging system options are available to you, such as free samples, paid samples. 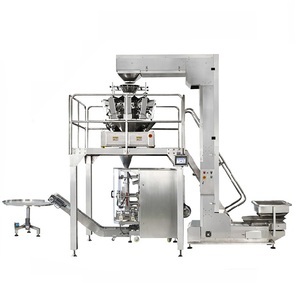 There are 28,960 automatic bagging system suppliers, mainly located in Asia. The top supplying country is China (Mainland), which supply 100% of automatic bagging system respectively. 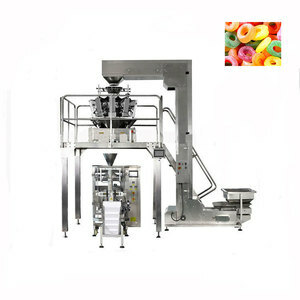 Automatic bagging system products are most popular in Domestic Market, Mid East, and South America. You can ensure product safety by selecting from certified suppliers, including 28,960 with Other, 6,248 with ISO9001, and 194 with ISO14001 certification.